There’s often nothing as memorable and satisfying as checking off an item on your travel bucket list, and high altitude destinations like Machu Picchu in Peru, Chamonix in France, and even Colorado rank high on the lists of many adventurous altitude seekers. But it’s important to remember that despite the great views offered by many high-altitude destinations, altitude sickness is a real risk when taking your adventures to new heights. Read on for tips on how to beat altitude sickness, and to learn how travel medical insurance can protect you in case of mountain sickness when checking off your high-altitude bucket list adventures abroad. First things first – what is altitude sickness? Altitude sickness is caused by a lack of oxygen in the air at high altitudes. The term “altitude sickness” can actually mean a number of different conditions. Acute Mountain Sickness (AMS) is the most common form of altitude sickness. The symptoms are typically milder, and can feel similar to a hangover. High-Altitude Pulmonary Edema (HAPE) is a buildup of excess fluid on the lungs, and High-Altitude Cerebral Edema (HACE) is excess fluid on the brain. Both HAPE and HACE can be fatal within hours, and require immediate medical treatment. How high do you have to go before you get high altitude sickness? Typically, the symptoms of acute mountain sickness start to appear at 2,500 metres above sea level (about 8,000 feet). This is the same barometric pressure as an airplane cabin! HAPE typically appears after two or three days at 2,500 metres, and HACE normally only happens at elevations over 3,000 metres. However, it’s still a good idea to watch for symptoms of HACE if you’re above 2,500 metres. Machu Picchu at 7,972 ft (2,430 m) offers stunning views of the Inca ruins but often comes with the risk of high altitude sickness. It’s less common for people to experience symptoms below 2,500 metres, but it is possible. I recently attended a wedding at a local mountain that was only 1,900 metres, and despite all of the hiking, dancing, and delicious food, I had a lot of trouble sleeping, and completely lost my appetite. I also had a constant, low-level headache, which seemed to get worse as the weekend went on. It didn’t occur to me that it might be altitude sickness until I descended, when I felt better immediately! After getting back to sea level, I ended up devouring an entire pizza, and slept for most of the journey home. Who is likely to get altitude sickness? You might think that athletes and fitness buffs are immune to altitude sickness, but that’s not true! Since altitude sickness is caused by a lack of oxygen in the air, it can affect anyone, including Olympic athletes. Medical experts still haven’t discovered why some people are more affected by altitude sickness than others, so it’s always a good idea to be prepared. If you feel unwell at a high elevation, you have altitude sickness until proven otherwise. Do not ascend further if you think you have symptoms of altitude sickness. If your condition is getting worse, descend immediately. When you’re dealing with altitude sickness, prevention is the best solution. Ascend slowly and let your body adjust to the new altitude. Resting for a day or two before embarking on climbs helps to minimize the chance that you’ll experience symptoms. When given time, your body has an amazing ability to adapt to high altitudes, so slow down and let it do the work! Keeping your body healthy and energized is also important. It’s essential to stay hydrated, so make sure to drink at least two bottles of water per day at high altitudes. Since loss of appetite and digestive issues are common symptoms of high altitude sickness, it’s best not to force down large meals. Instead, try eating lighter, smaller meals more frequently to give your body the energy it needs. Complex carbohydrates such as whole grains, starchy or green vegetables, and lentils are also great for sustained energy, because they’re digested at a slower rate. Other tips to prevent altitude sickness include decreasing your salt intake to prevent dehydration, and avoiding other things that might exacerbate the symptoms of altitude sickness, like alcohol, smoking, and sleeping pills. Chances are, if you’re planning on tackling some serious elevation, you’re in pretty good shape. But just in case, it’s a good idea to see your doctor before you go, to make sure there’s no underlying conditions that could make you more susceptible to high altitude sickness. Even if you’re fit, and have taken on a special training regime before making your ascent, adjusting to a higher altitude is already going to be a strain on your body, so it’s a good idea to leave the heavy backpack behind. When travelling at high altitudes, the more the merrier! Tackling challenging peaks with friends is not only fun, it’s much safer than travelling alone. 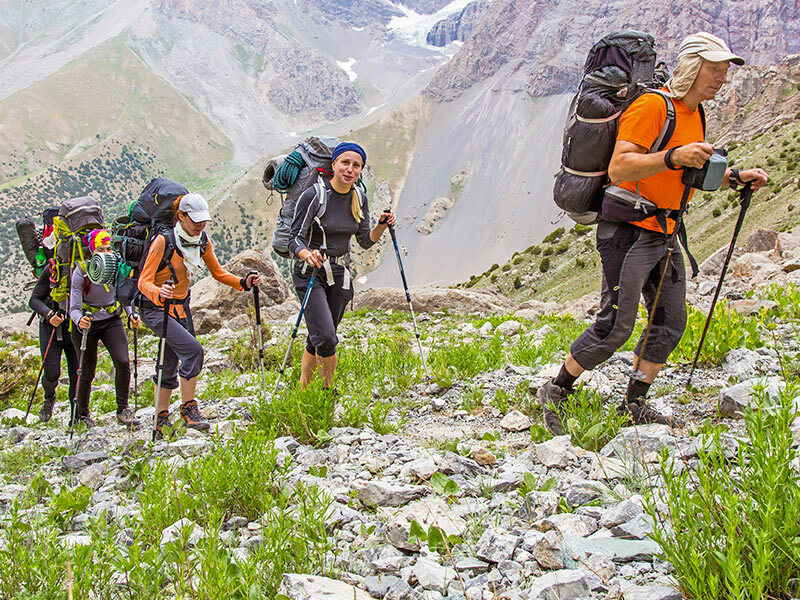 You may not always be able to recognize if you’re experiencing the more serious side effects of altitude sickness, but your buddies will likely see it, which could literally be a lifesaver. 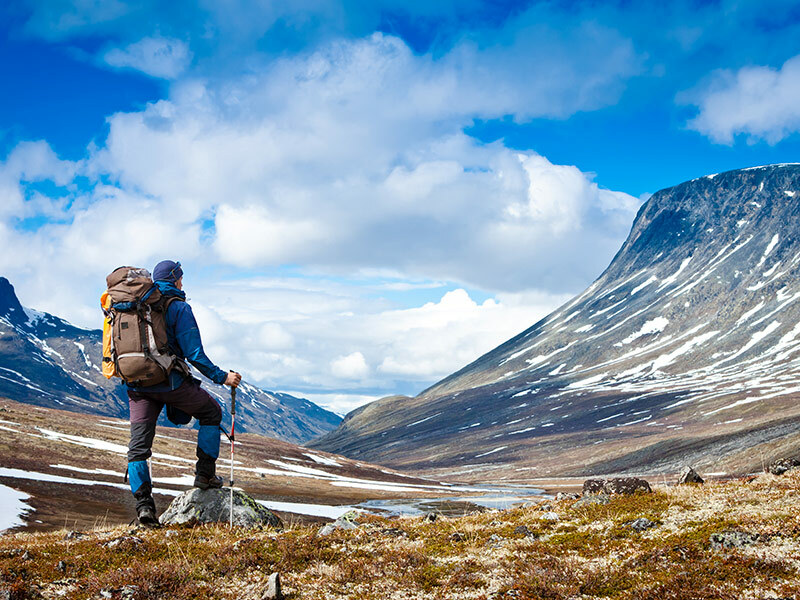 Depending on the altitude you’re planning on travelling to, your doctor may recommend medication to help prevent altitude sickness. Always advise your doctor if you’re planning on travelling above 2,500 meters. 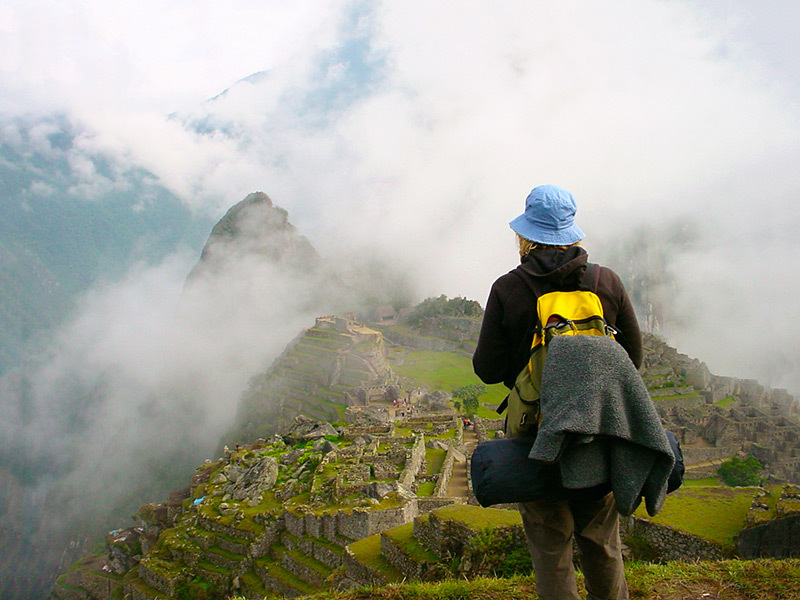 There are a number of natural remedies for preventing altitude sickness. You might be surprised to learn that chlorophyll drops in water can help. The idea is that chlorophyll increases the body’s production of red blood cells. Since red blood cells are responsible for carrying oxygen to the rest of the body, increasing the number of red blood cells helps your body take full advantage of all of the oxygen available in the air. There’s generally more than enough oxygen at sea level, but when the oxygen is scarce, you’ll want to be able to use it all! You might hear of coca tea or coca leaves as another natural remedy for high altitude sickness, but most doctors recommend against taking it, because there’s no proof that it actually works. Taking this remedy can provide a false sense of security, and can prevent you from recognizing that you have altitude sickness. Coca leaves are also an illegal substance in many countries, and you definitely don’t want to have your adventure cut short by a brush with the law. In addition to medication and natural remedies, you should also bring along a few medical tools. Since altitude sickness is caused by a lack of oxygen, consider carrying a mini oxygen cylinder for use in case of an emergency. If you’re like me and love real-time data, a portable finger pulse monitor can help you keep a close eye on your oxygen level and heart rate. When do I need to seek emergency treatment for altitude sickness? Since HAPE and HACE can be fatal within hours, it’s important to know when to seek emergency medical treatment. According to Golden Rule number 1, if you’re experiencing any symptoms, assume you have altitude sickness until proven otherwise. But this doesn’t necessarily mean that you should hightail down the mountain. If you’re experiencing mild symptoms, stop your ascent and wait for your body to readjust. If your symptoms don’t improve or start to get worse, then you should descend immediately. If you’re having symptoms of AMS, as well as breathlessness at rest, a cough, and frothy or pink sputum, you may have HAPE. This is a serious medical condition, so descend and seek emergency treatment right away. 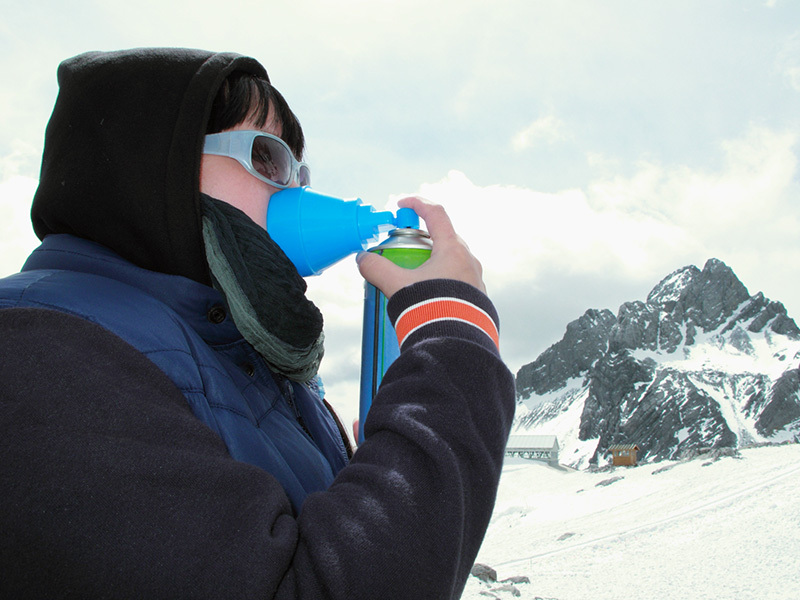 The symptoms of HAPE can often be mistaken for a chest infection, but if you’re at a high altitude, it’s safer to assume that it’s HAPE. HACE is also often accompanied by symptoms of AMS, but it can also include a violent headache which progresses to confusion, irrationality, stumbling, and unsteadiness. HACE affects the brain and progresses quickly. If you’re having any of the symptoms listed above, it’s a medical emergency that needs immediate treatment. Before you embark on your high altitude adventure, it’s important to know if your travel insurance covers altitude sickness. Many insurance providers will only cover you up to certain elevations, which is why it’s important to read your policy thoroughly. At TuGo, we provide travel insurance that covers you for altitude sickness at any elevation, whether you’re a newbie hiker or a seasoned alpinist. When looking for altitude sickness coverage, opt for both emergency medical and trip interruption insurance, and learn how you’ll be covered if you get sick or need to cut your trip short due to mountain sickness. Curious to learn when and how an air evacuation is coordinated? Learn more about air ambulances and air evacuations for high altitude destinations. Altitude sickness is something that can catch you off guard if you don’t prepare for it in advance. Be in the know and use these tips to plan an exciting and safe adventure at your next high altitude destination. Don’t forget to pack your travel insurance too! Do you have any high-altitude destinations on your 2017 bucket list? How are you prepping for them? Share your own tips with us in the comments below.